Mr Fox is the owner of a beautiful Victorian home in the town of Shefford. The house dates back to the 1860s and is typical of a property of this era. The very features that add character to a period property also present challenges when it comes to any maintenance or restoration work. The walls have stood the test of time but after nearly one hundred and seventy years they are delicate. Whilst it is also almost impossible not to encounter an off angle or non-straight edge our technicians did not let that stand in their way. Mr Fox came across the Schnauber website when he was carrying out research for a supplier that he could trust to replace three timber doors in his property. After looking through the work featured on our website and Facebook page and listening to the video testimonials from our customers on our YouTube channel Mr Fox felt confident that we may be able to help him and completed his details on the contact form on the website. Our Sales and Business Development manager, Marius, contacted Mr Fox and arranged a home visit at a time convenient for him. Marius identified over the telephone that there were two key areas of concern for Mr Fox – the cosmetic appearance and the security of his existing timber doors, which were now rotten and “on their last legs”. Marius took along samples of the type of material used in the manufacture of our wooden doors and examples of the locking devices that are available. Mr Fox was impressed by the quality and sturdiness of the samples and the multi locking system, steel hinge protectors and security glass that could be fitted into the Schnuaber timber doors. Mr Fox placed the order with Schnauber confident that we would be able to deliver the high level of security that he was looking for to adequately protect his young family. The installation of the timber French doors and timber back entrance door took just three days. The speed and efficiency of installation is down to the preparation that is carried out in the factory at the point of manufacture. This helps to save time on site, reducing the level of disruption to the customer. Mr Fox was extremely pleased with the finished job and the vast improvements to the security of his home. He had nothing but praise for the Schnauber team saying that the fitters were brilliant, the service was faultless and nothing was too much trouble. You can watch the whole video testimonial over on YouTube. A Schnauber installation of 3 timber doors in a Victorian property in Bedfordshire left the owner feeling over the moon! Mr Kempski’s handsome end of terrace house in the Cambridge suburb of Newnham was in need of some tender loving care when it came to the timber windows. 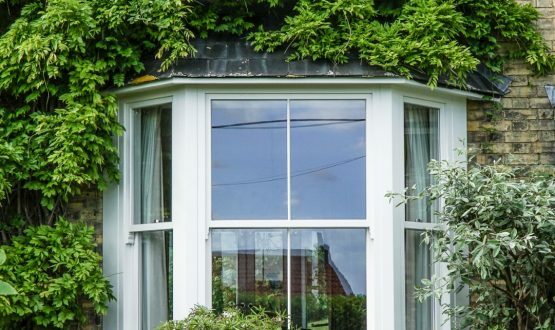 The Edwardian single pane sash windows had been installed many years previously and were starting to show the signs of wear and tear. They were draughty and ongoing maintenance was becoming costly. Mr Kempski decided the time had come to bite the bullet and address the issue once and for all! 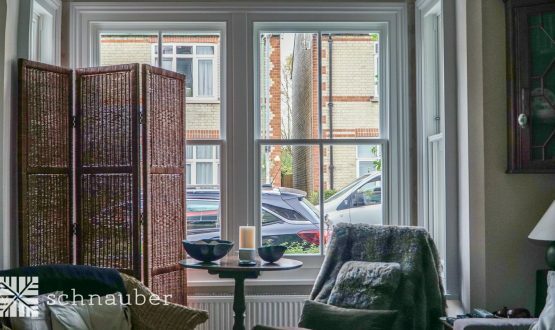 Mr Lowe contacted Schnauber after several neighbours in his Cambridgeshire village of Haddenham recommended the company as specialists in the installation of timber windows. Mr Lowe had a requirement for sash windows to resolve issues that had occurred with timber windows that had been previously fitted by a local carpenter. Unfortunately the windows had become twisted, rotted and were no longer functional. 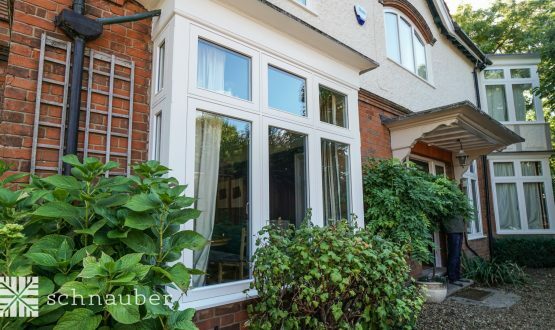 A 1930s property in the centre of Cambridge was returned to its former glory with the replacement of ill-fitting UPVC widows with a range of timber casement windows. The offending windows were already in place when Mr Jackson purchased his 1930s property. Whilst he knew at the point of purchase that the windows were not in keeping with the age of the property the biggest surprise for the Jackson family was the level of road noise that the windows allowed into their home.